Skin editing: the removal of blemishes & blotchy skin, the enhancement of features, and a unique artistic style painted on every photo. THE EDITED IMAGES ARE ALL YOURS! No hidden fees, no obligation to print or buy a package. The images are presented in an online gallery that can be downloaded, printed, and easily shared with loved ones. 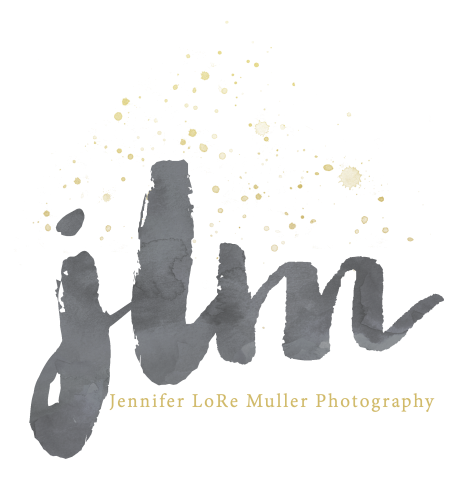 I use my experience as an elementary school teacher, as well as my NINE+ years in the photography business to connect well with children & families. I have photographed over 300 newborns and have learned to predict their every move. (I'm not kidding- I can prove it!) Find out more about who I am by scrolling to the bottom of the home page. A $25 travel fee applies to anything out of Nassau County, Long Island (additional travel fees may apply). Looking for the perfect gift for a bridal or baby shower or for a holiday or special birthday? Give a gift certificate for one of my sessions. This will truly be a unique gift that they will treasure forever! There are two types of newborn sessions that are offered: lifestyle and studio. Please inquire to find out more about each session. These sessions are photographed in the comfort of your own home.. All edited photos will sent in an online gallery within three weeks of the session. The Fresh 48 is a special newborn session that takes place in the hospital, or in your home, within the first 48 hours of delivery. Images may include the baby meeting family members, such as their older siblings & grandparents for the first time, and other "firsts" such as the first bath, dad's first diaper change, etc. All of the baby's new "fresh" details, such as the wrinkled feet and tiny fingers will be documented as well. Mom gets the chance to clean up, eat a meal, and get some rest (?) before I show up with my camera.. It includes 60-90 minutes of shooting time, travel to the hospital, and all edited images in an online gallery within three weeks. Children and family sessions can take place outside in natural lighting where we can meet at a park or meaningful place and just "have fun" in a relaxed and easy way. Take me with you on a family hike or a trip (I love Europe & exotic places!) where you can put your iPhone away and let me document the intentional family time.. Or maybe, we can do something super informal and you can have me over for a playdate where I capture your family cooking a meal together, or doing something that you all enjoy. Sessions are an hour long (additional hours may be purchased). All edited photos will be sent in an online gallery within three weeks of the session. ALL FIRST BIRTHDAY SESSIONS/ CAKE SMASH SESSIONS INCLUDE SEVERAL FAMILY PHOTOS! Engagement sessions are about an hour long and are done outside in natural lighting. We can meet at a recommended location, where you can just "have fun" in a relaxed and easy way. I promise to make it FUN, natural, and painLESS! All edited photos will be sent in an online gallery within three weeks of the session. Maternity photos can be photographed in the comfort of your own home, or outside (or both!) Sessions are about an hour long. All edited photos will be sent in an online gallery within three weeks of the session. Mini sessions are done for portraits, headshots, business photos, etc. These sessions are 20 minutes long and include 10 edited images. Ideas, as far as location, can be discussed. All photos will be sent in an online gallery within two weeks of the session. * These sessions are NOT for family or child sessions. Holiday sessions are announced several weeks/ months before the holiday. This is a mini session and is 20 minutes long and includes 10 edited images. All photos will be sent in an online gallery within two weeks of the session. These special sessions are limited! Be sure to follow me on Facebook & instagram for mini session announcements! Though she is happy to accommodate individual schedules, please understand that Jennifer is often booked months in advance, and sometimes double-booked. Therefore if you must cancel, she will do her best to reschedule and accommodate you but unfortunately she may not always be able to do so and a cancellation may result in a 25% fee.